Play out LEGO Star Wars adventures with the Tatooine Battle Pack. This fun set features 2 Jawa mini-figures plus a service vehicle with stud shooters and an articulated crane for picking up the included astromech droid. 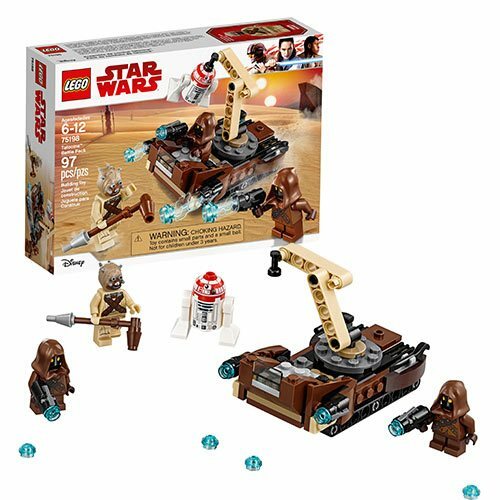 This LEGO Star Wars toy also includes a Tusken Raider mini-figure, to keep any desert commander busy! The LEGO Star Wars 75198 Tatooine Battle Pack includes 97 pieces. Ages 6 and up.